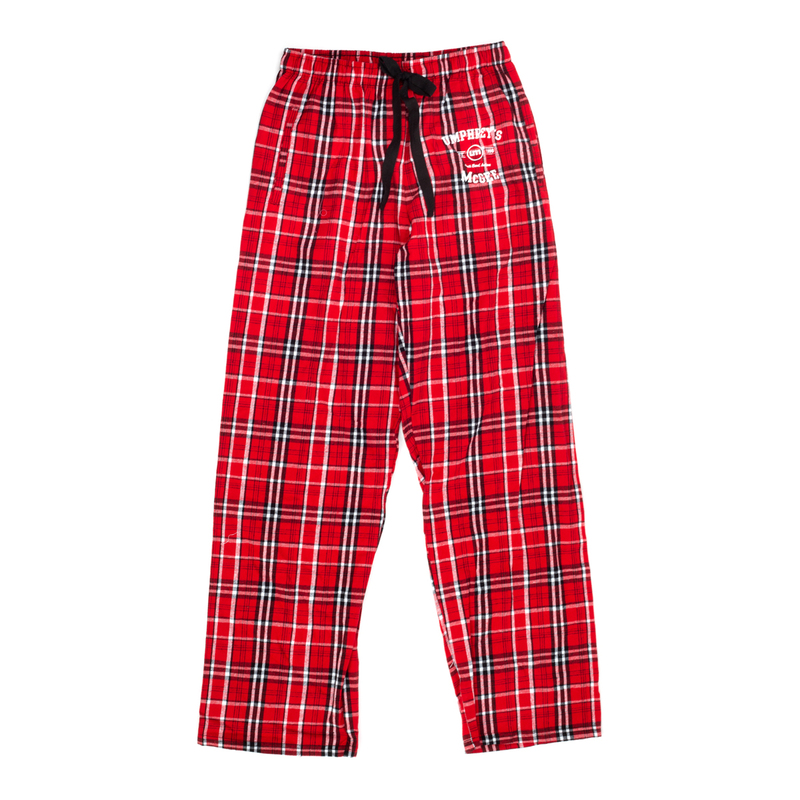 Our unisex Flannel Lounge Pants are perfect for staying warm on lazy days. Featuring the new UM Collegiate Logo, these are ideal for recovering from your UM show the night before, keeping cozy during couch tour or for gifting to the Umph lover in your life. 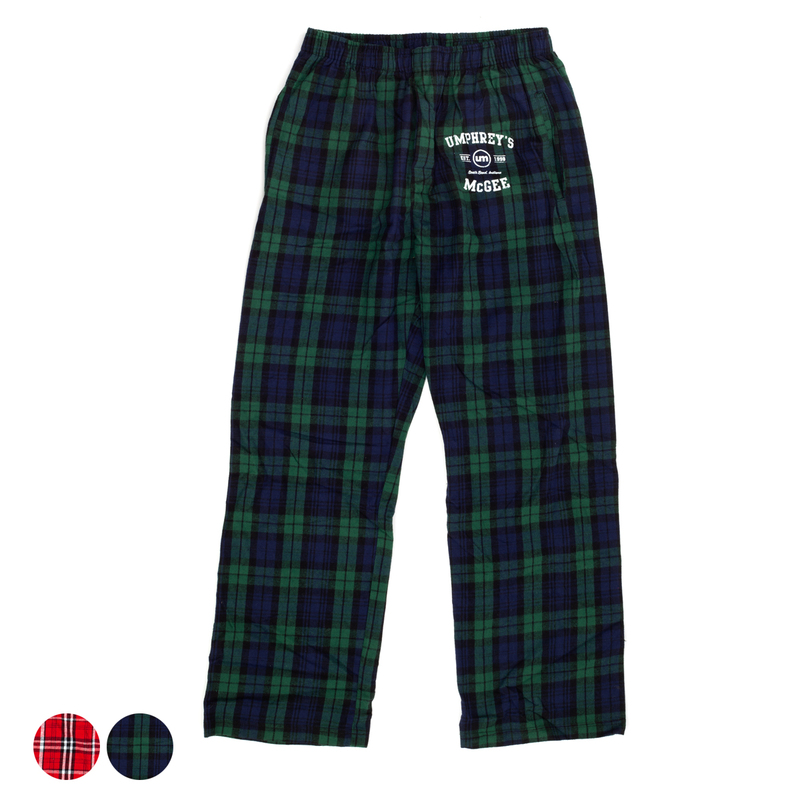 Our flannels are available in Red/White and Navy/Green with slight variations in each style. 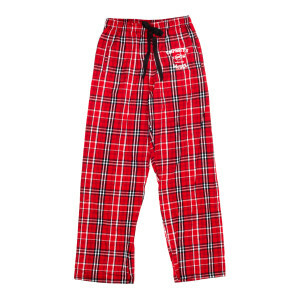 The Red/White style is 4.3 ounce, 100% double-brushed cotton flannel with a covered elastic waistband, drawcord and side-seamed pockets. The Navy/Green is 4.0 ounces, 100% cotton flannel and has a button-closure fly (no drawcord) and deeper side pockets. Both are similar and unisex, though the Navy/Green bends more towards the male demographic running slightly larger, and containing the button-closure fly. Whichever you choose, you’ll love them.